It seems iTunes has become the music-playing application of choice for Windows and Mac users alike; it may be the only thing they agree upon. Linux users on the other hand seem to have been left out in the cold in terms of music management. With so many Linux distributions and open source applications it can become difficult to find a suitable digital media file solution. 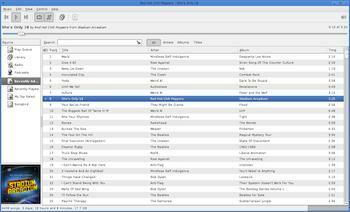 Rythumbox, a music management and playing application for the Gnome Desktop has separated itself as a fine alternative to iTunes for Linux users. The part of the program that is most impressive is the numerous plug-ins available which allows you to customize your listening experience. The program has the look and feel of iTunes, which makes sense as the developer was inspired by the Apple software. Media sources are located on the left side and the music library, with song and artist details, populate the main area. Music controls such as play and pause are located in the second row at the top of the program. Many other music playing programs have difficulties handling iPods, but Rythumbox mounts iDevices beautifully without making users jump through hoops. Simply select the plugin option under the edit menu, and check the box to add support for media transfer protocol devices as well as iPods. Lyrics are displayed with another plug-in, and as music changes the lyrics showing in the pop up window also change, and quite smoothly at that. As with most pop up boxes the lyrics box can be moved around the desktop with simple drag and drop techniques. When using Rythumbox and Gnome you have the choice of two different music stores, Janendo and Magnatune. Janendo is a free community based music publisher that provides legal, unlimited music. Magnatune also offers unlimited downloading and listen capabilities, but there is a $15 a month fee associated with your account. Ubuntu users have one additional option with the advent of the new music store called Ubuntu One. Transferring your existing collection is also a breeze with the import option. The one area where Rythumbox is lacking is the inability to rip and burn CD’s, yet you do have the ability to transfer music to and from devices such as an iPod, MTP or USB device. This is hardly a deal breaker as the Gnome Desktop includes a CD ripper that handles ripping tasks quite well. With Rythumbox being open source and readily available, Linux users need not feel deprived due to the lack of iTunes. They can enjoy most of the same benefits as well as some plug-ins that go much farther than iTunes functionality. 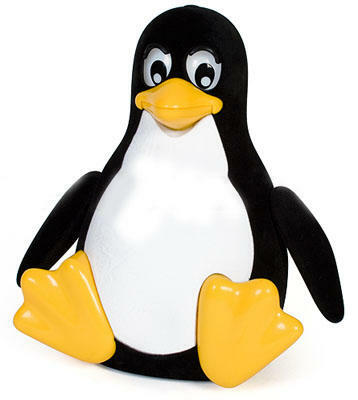 Do you use a Linux distribution? Which one? What music manager do you use?